If you own a notebook with a CD-ROM drive and are trying to upgrade to a DVD-ROM drive, you may be shocked at the upgrade prices offered by the dealer. 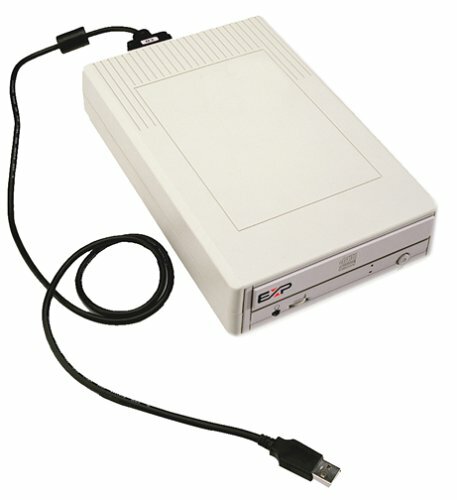 We suggest looking into a third-party alternative such as the EXP DVD-789 external PC card DVD drive. 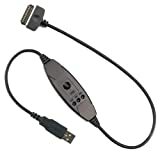 However, make sure you're packing a notebook with a powerful processor and/or the specific Texas Instruments-based CardBus PCMCIA controller recommended in the manual if you want maximum performance. 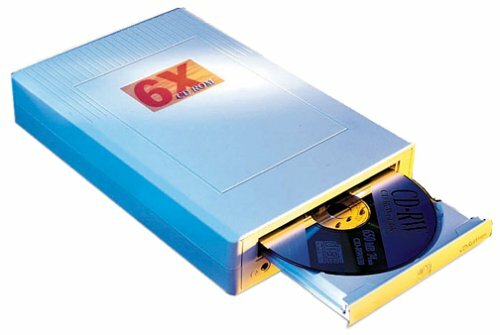 The EXP DVD-780 is a very lightweight, portable DVD drive built with 32-bit Cardbus PC Card technology. 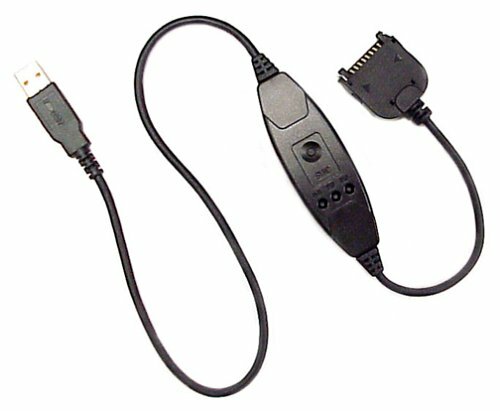 It is fully plug-and-play-compatible with both Windows 95 and 98 and even installs easily to notebooks with Windows NT 4.0. 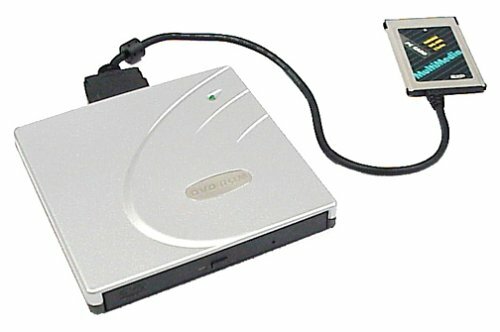 Installation is simple--just plug the PCMCIA card into the adapter, load the drivers (which come on a single floppy), and use the drive. 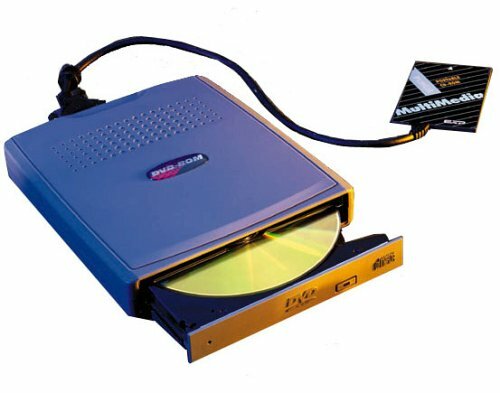 The DVD-780 is compatible with all current DVD media and CD-ROM media, including CD-R and CD-RW. While the DVD-780 advertises a 2x maximum data-transfer rate of 2,700 KB per second (2.6 MB per second) for DVD content, our tests produced a more sobering DVD speed of 1,530 KB per second (1.5 MB per second) with a top-end speed of only 1.2x. For CD-ROM content, we also found the real-world performance of the DVD-780 to be less impressive than the promised 2,400 KB per second (2.3 MB per second): we were only able to achieve a maximum throughput of 1,663 KB per second (1.6 MB per second) for CD-ROM speed, which is a data-transfer rate of only 11.5x compared to the advertised 16x. We were never able to reach the full speed of the drive, and we think it's because the two new notebooks we tested it with did not use the recommended TI PCI CardBus controller. (The manual specifically states that the TI PCI-1221 does not have DMA support.) However, we also tested the EXP DVD-780 drive on two other laptops, both of which contained a common 32-bit PCI system bus-architecture based on the Intel 440BX chipset, and we came away with the same benchmark scores noted above. 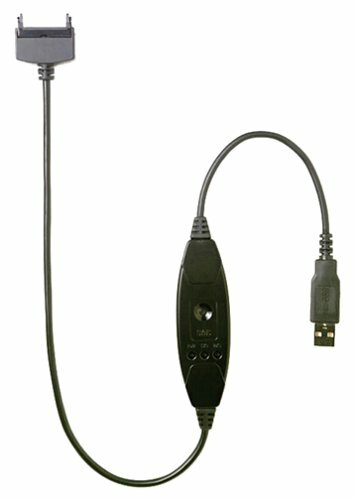 The DVD-780's kit includes a complete version of CyberLink PowerDVD 1.5, which is excellent DVD decoding software. PowerDVD supports letterbox mode for 16:9 widescreen titles (which have black stripes at the top and the bottom of the display window) and offers menu selections for title, root, subpicture, PTT, and audio menus. PowerDVD also supports multiple languages and up to nine multiple angles and offers parental level control. We recommend installing the free upgrade of PowerDVD 2.0 via CyberLink's Web site. In addition, the kit comes with an external power supply, although you don't need it to operate the DVD player. We found the power supplied via the PC card slot to be more than adequate to use the drive or even watch movies. Keep in mind, though, that powering the drive via the PC Card slot will drain the notebook batteries faster, which may make it impossible to watch a full movie. The picture quality of the EXP DVD-780 is sharp, with bright colors. In our tests, the DVD player displayed a few artifacts (pixelation and dithering in the playback that make the compression algorithms readily apparent), but we only noticed them when we looked very closely. The only major problem we experienced was occasional slowness and dropped frames, which we attributed to the fact that the drive was not operating at the rated 2x speed. In addition, the drive is somewhat noisy when reading discs, but this sound is easily drowned out when watching movies. We believe that this drive most likely performs up to spec, but only if you own the prerequisite Texas Instruments CardBus controller. Otherwise, you may want to look for a portable, external DVD drive. This device never performed adequately on the laptop I originally bought it for, a Pentium MMX166 with Zoomed Video, 96 MB RAM, and running Windows 95. This was within the requirements, but only just. Still, it performed VERY poorly (probably showed about 2-3 FPS, at best). I bought a much newer laptop, a Pentium III 500 MhZ with 320 MB RAM and 4 GB VRAM: way, way above the requirements. Worked marginally in Windows 2000, but XP did not like the driver when I updated. Tried several different drivers off their confusing download page, no luck. So I call their tech support. The guy starts spitballing stuff at me ('try this driver', 'try that driver'), clearly at random. I had turned off AutoPlay, which I've heard can cause problems, and turned off digital audio. These had both improved the play of DVD's, but not much. He never even mentioned these steps. I politely asked for the issue to be escalated, he began screaming at me, inexplicably accusing me of demanding a new driver (which I never did, though it's not a bad idea), and hung up in my face. I called back, got the same guy, he again began screaming at me, told me there wsa no one but him working at EXP, called me a fool, and hung up on me. So, if you enjoy being screamed at, lied to, abused, and personally insulted, you can hang around with my ex-fiancee, or you can buy a product from EXP. Both are about equally painful. This slow, loud, very tempermental portable dvd player is not worth the aggrevation of purchasing it. The box it came in was more usefull to me than the DVD player. It is slow and was dropped once from a bed to the floor and then refused to work which was ok with me cause when it did actually work it was sluggish and had a mind of its own, if it liked a particular sceen in a movie it would play it over and over again or just freeze up or the sound would not be in sync with the movie, like watching the old chinese karate movies. I finaly ate my losses and threw it across the room. My advice take the [money] and buy something nice for your special someone, not on this piece of crap. Took a Chance and its Better than I've Thought! This portable DVD player is very light weight and easy totransport. The installation was flawless. This DVD player performanceis awesome. I've tried other well-known brands, but this one have a better price and better performance in video and audio. This drive is an excellent drive while working with IBM Laptops but choppy or unrecognized by Toshiba Laptops due to agreement issue between EXP and Toshiba so far as I contacted with EXP Technical Support and they had explained to me as I described above. In general, this unit will work well with IBM laptops and may other brands but not with Toshiba Laptop latest Models. 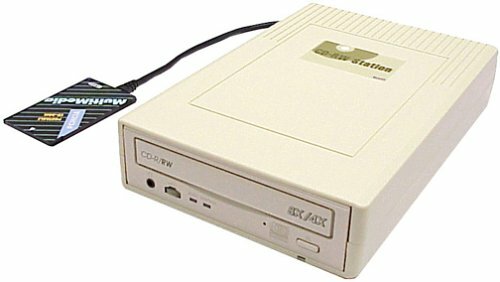 I bought an Archos DVD rom drive (PCMCIA - 32bit pccardbus) recently explicitly for watching dvds on my laptop 566Mhz,160Mb Ram, 4Mb Graphics card. Although my laptop was far and above the specifications required and displayed on the box, the quality of the product left a lot to be desired. The sound quality was aweful! The drive would only play european dvd's. (I bought it in New York for god's sake!). I would not reccomend that product to anyone. I'm not sure if certain companies are re-selling this product under their own badges, but for your own sanity, please contact the company directly and find out! (or look at their web-site). 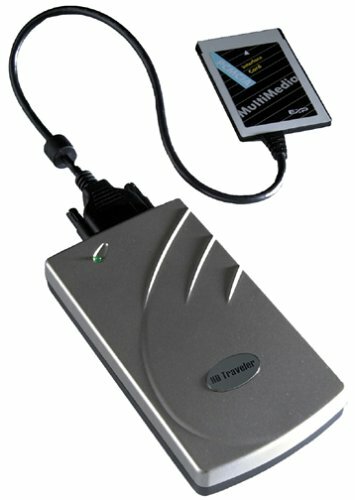 According to the documentation about the DVD-ROM 8X Travelerpccard Portable our laptop met all of the system requirements. After getting the DVD player installed though, we found that it would not read from commercial DVDs, but would only read DVD+R's. When we tried to watch movies with the DVD+R's, the video was too slow and skipped frames. The audio was fine, but the video made it impossible to watch without getting a headache.